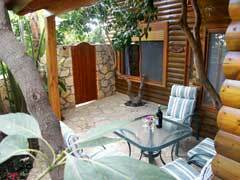 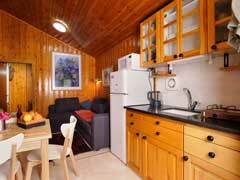 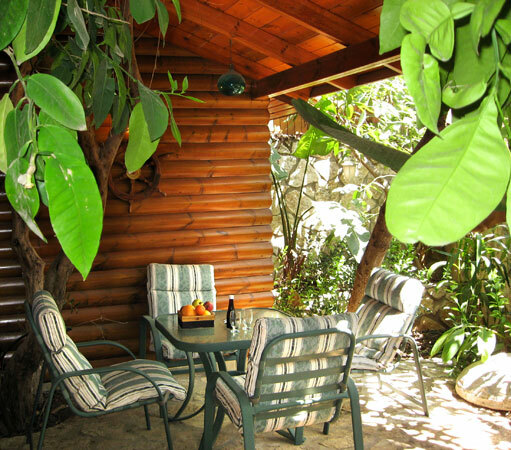 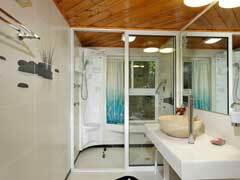 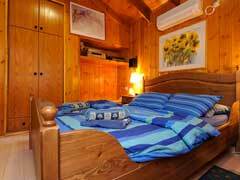 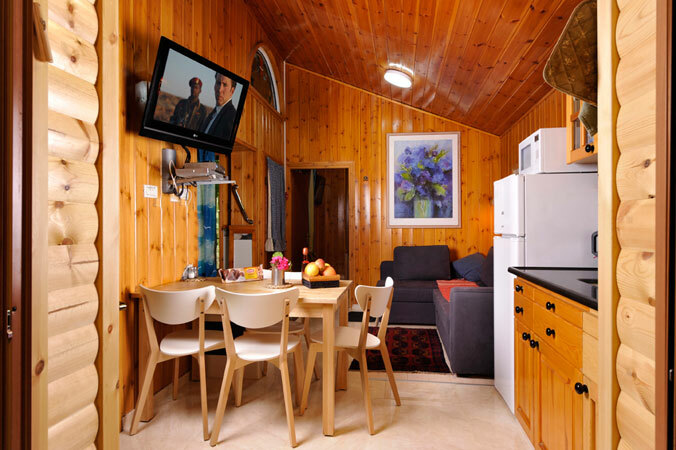 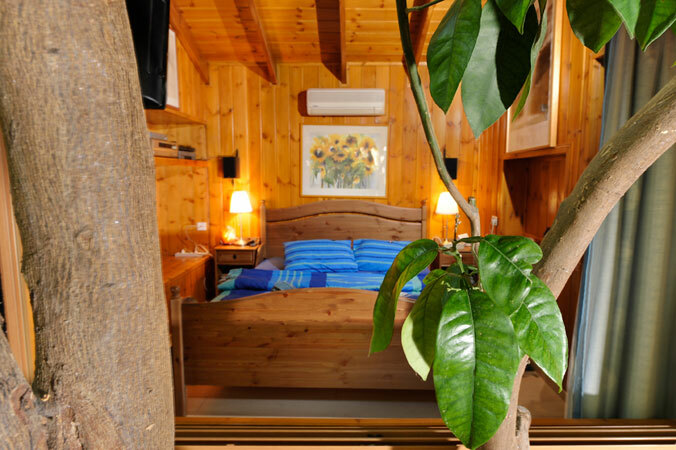 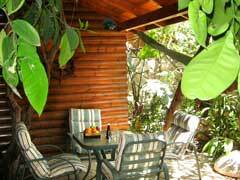 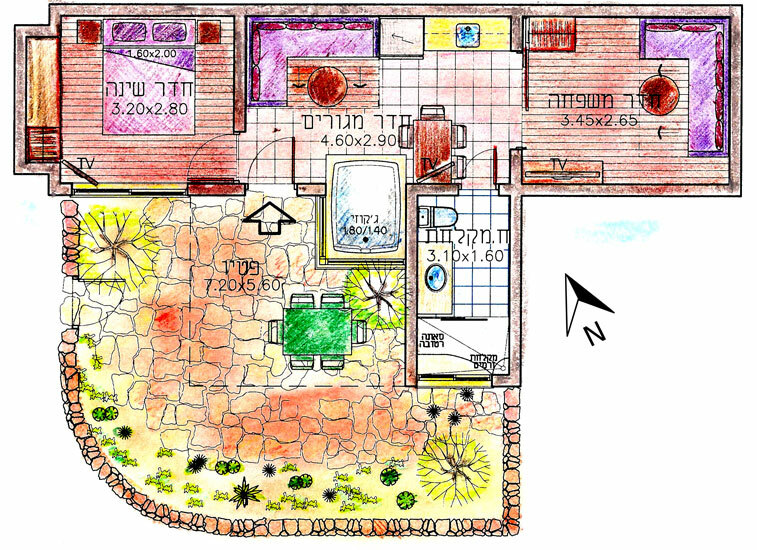 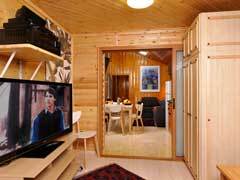 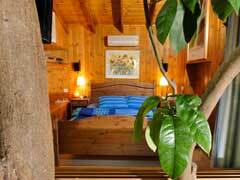 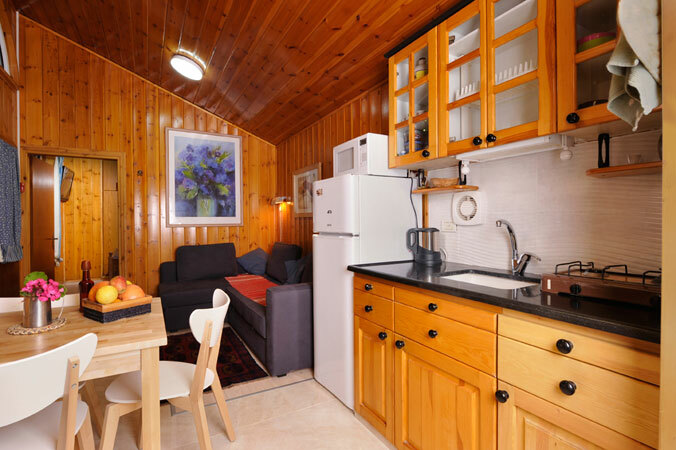 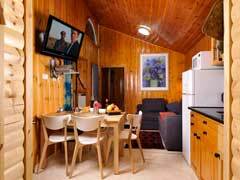 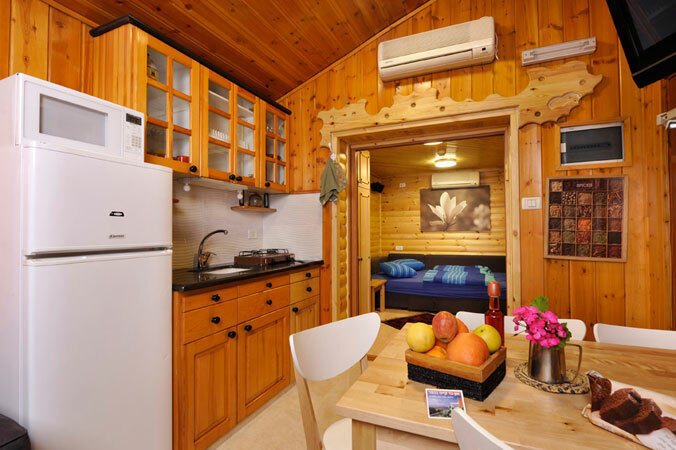 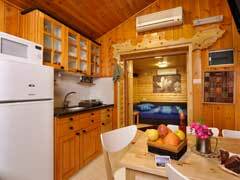 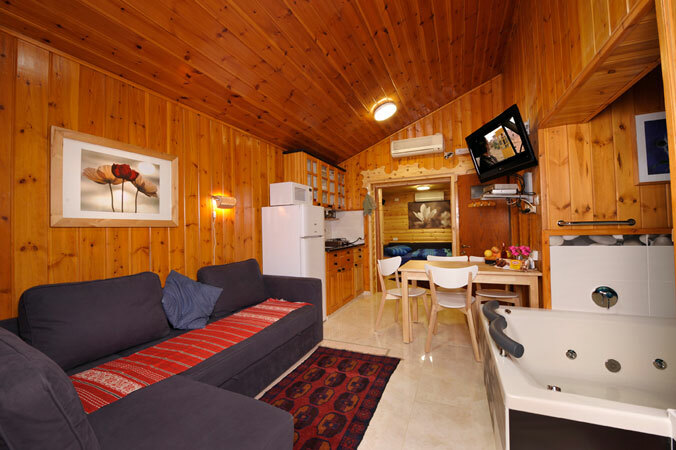 Romantic & large luxurious wood cabin, secluded within lush greenery and fruit trees, at a reasonable price. 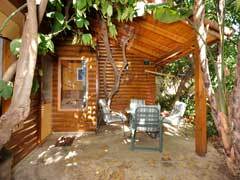 Very private & shaded - not open to the view, high-ceilinged wooden patio cabin with parquet & porcelain tiles floor. 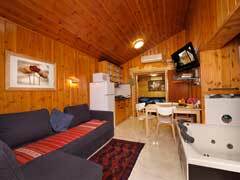 Living-room includes corner sofa which converts into double bed for children, and kitchenette & dining corner, and double jacuzzi overlooking the unit's private yard, there is a separate TV system & AC systems with independent heating and cooling. 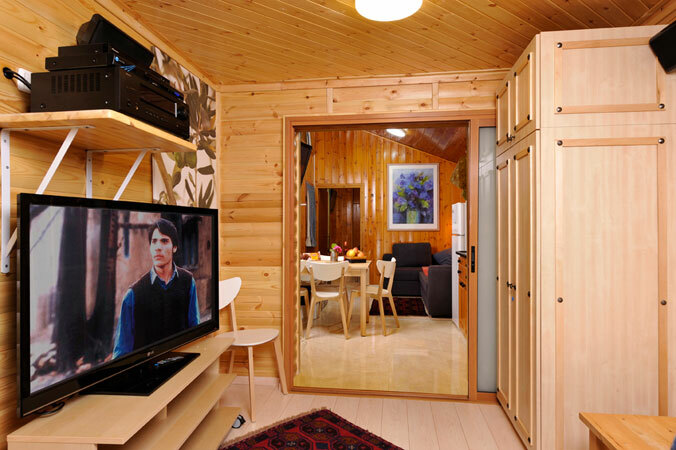 The bedroom with Home Theater TV System, and AC system for independent heating and cooling and a wardrobe. 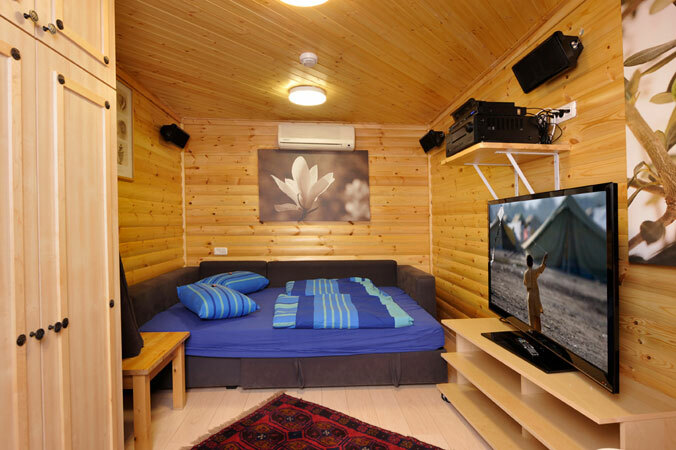 The Family / Home Theater room with corner sofa which converts into double bed for children or second couple, there is a separate Home Theater TV System, and AC system for independent heating and cooling and a wardrobe. 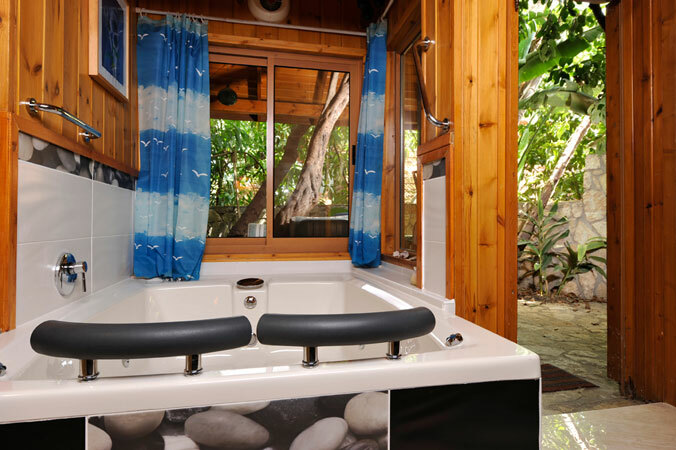 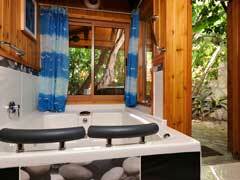 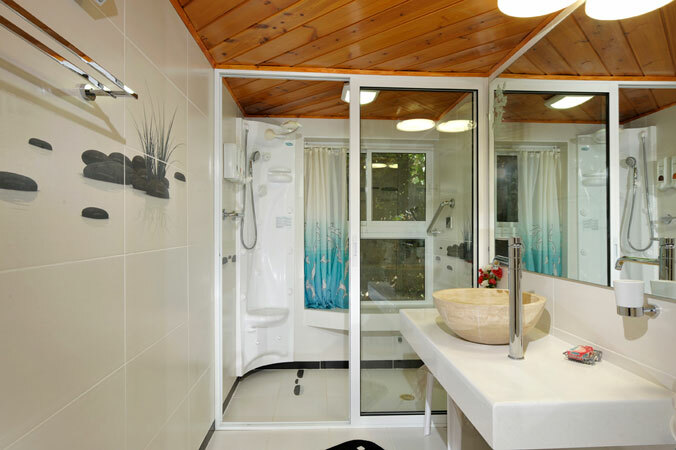 The bathroom with its stand-up Jacuzzi shower jets and a wet sauna with a marvel bench, has a large window overlooking the verdant patio garden and its fruit trees. 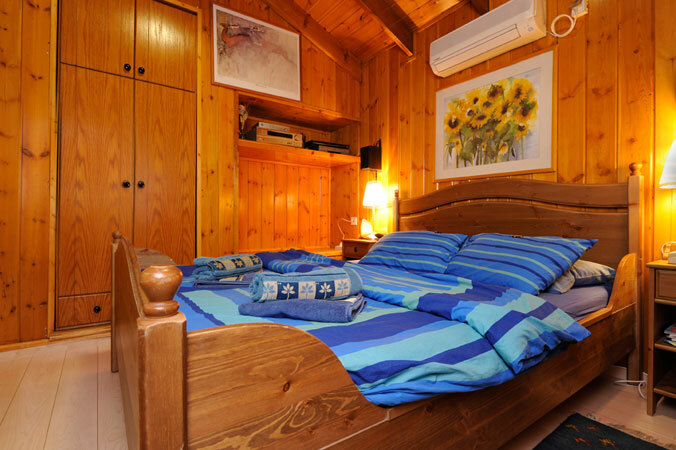 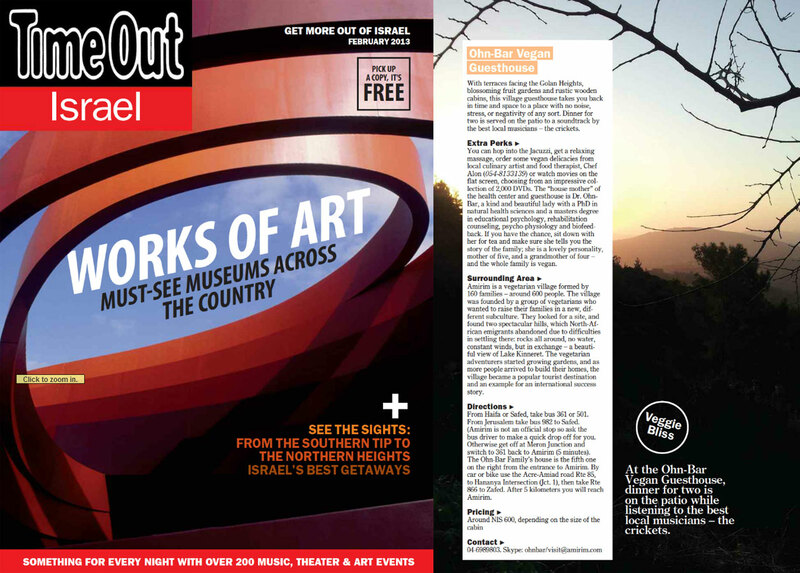 Suitable for a romantic couple, or for a family with five children. 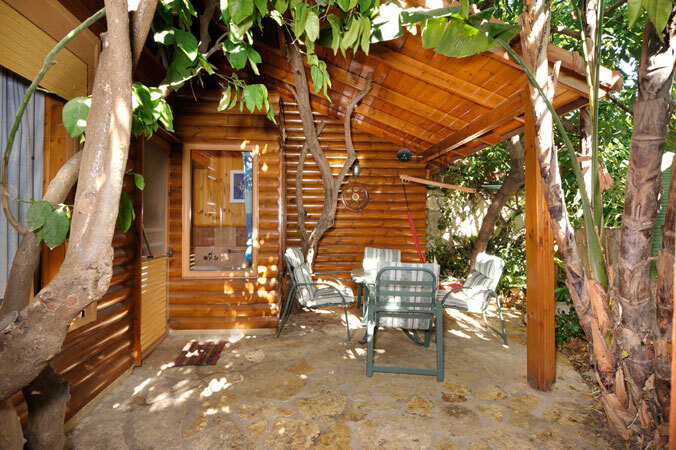 Surrounded by a stone wall, the flagstone-paved patio is not open to the view and has a shaded wooden-beamed seating area.